Nora Rose Rowley is a genius, but don't tell anyone. Nora's managed to make it to the fifth grade without anyone figuring out that she's not just an ordinary kid, and she wants to keep it that way. Fifth-grader Nora Rose Rowley has been keeping an unusual secret for most of her life. The secret is that she is very, very smart. She does not want her family, friends, or teachers to know that she is highly intelligent because she does not want to be singled out as different. She does not want to leave her regular fifth-grade class to attend the Gifted Program. Most of all, she does not want her best friend Stephen to feel less good about himself because she is so much smarter. It is this reason that leads Nora to draw a very smart conclusion: that tests and grades should not be the only way students are judged. To prove this, however, Nora sets a not-so-smart plan into action: She decides to flunk fifth grade. What begins as a simple effort to protect her friend and prove her point snowballs into a classroom-wide “Get a Zero” campaign that ultimately involves teachers, counselors, even school administrators and threatens to get both her and Stephen suspended. Worst of all, Nora’s secret is discovered. Or perhaps this is the best result, for now Nora must find a way to be her true, intelligent self as she navigates through the remainder of fifth grade, through family relationships and friendships, and through the rest of her life. 1. Nora has kept her intelligence a secret from her family, friends, and teachers for a long time. Give several examples of ways Nora keeps her secret. Do you think Nora made a good choice to keep this secret? Why or why not? 2. Nora says that she got her terrible report card for Stephen. Explain this statement. List some of the ways Nora describes her friend Stephen. How do you think Nora really feels about Stephen? Do you think protecting Stephen is truly the only reason Nora decided to get a bad report card? 3. Nora pigeonholes her sister and brother into specific roles in the family. Ann is the successful student. Todd is the average-yet-likeable guy. What role does Nora see herself playing? How does this affect her actions? Do you feel you play a particular role in your family? How does this affect your behavior? 4. Nora feels that the only place she can let everyone see her talents is on the soccer field. Why does she feel this way? How are being a good athlete and being a good student perceived differently at your school? How do you feel about this situation? 5. Describe what happens at your school and at home on a report card day. What is special about a report card day? Who opens your report card? 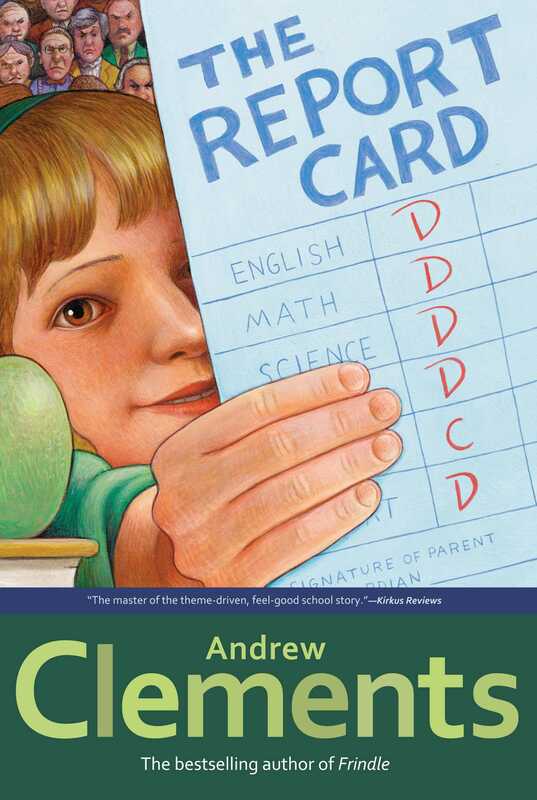 How do you feel just before the report card is opened? What happens if you get especially good or bad grades? 6. Early in the book, Nora remarks that “fifth grade grades matter.” What does she mean? How do your grades contribute to your opinion of yourself? How do your grades contribute to your parents’, friends’, and teachers’ opinions of you? Do you think your grades paint a fair picture of you? 7. Nora’s bad grades get a lot of people in trouble besides herself. This is surprising to Nora. List the people who also get “bad grades” as a result of Nora’s poor school performance and describe the other surprising results of her failure. 8. When the school administrators confront Stephen and Nora with their “Get a Zero” plan, Mrs. Hackney says: “A disobedient attitude has been set loose in our school. And we have got to stop it.” Why is Mrs. Hackney so concerned about this problem? What do you think might have happened had Nora and Stephen not been caught so early on in their “zero rebellion”? 9. Would you like to go to a school without tests or grades? Why or why not? List some of the possible positive and negative aspects of such a school. 10. List the following qualities in order of importance: intelligence, compassion, patience, honesty, creativity, diligence. Explain your list. 11. What does it mean to feel, or to be, normal? Describe a “normal” kid or a “normal” day? Do you think being “normal” is a good goal for Nora? Is it a good goal for kids in general? Is there really such a thing as “normal”? 1. Designing a good educational system, making daily decisions, and keeping discipline in an elementary school is a big challenge. Make a chart depicting the way the administration of your school is organized, starting with your principal, school board, and parent-teacher organization. If possible, interview your school principal, guidance counselor, office manager, or another school administrator about his or her job. Then write a newspaper article about this person and the role he or she plays in school life. 2. The Report Card is not just a story about tests and grades. It is also a story about friendship and the people we choose to trust. Create a poster featuring famous friends from literature, such as Tom Sawyer and Huck Finn (Tom Sawyer by Mark Twain) or Betsy and Tacy (Betsy-Tacy books by Maud Hart Lovelace). What qualities do these friendships share? Make a list of the most important qualities of a good friend. 3. Early in the book, Nora describes how she first got to know her friend Stephen. Write a paragraph or short story about how you met one of your best friends. Include details about your ages, the place of your meeting, how you were feeling before you became friends, and how you feel about the friendship today. 4. One way Mrs. Byrne comes to recognize Nora’s intelligence is by reviewing the websites she visited on the library computer. Keep a log of websites you visit over the next day or week. Afterwards, review your log, or exchange logs with a friend or classmate for review. What can you learn about yourself, or your classmate, from these web logs? 5. Although they may not have chosen the right plan, Nora and Stephen have an important message about testing and a valid desire to share their thoughts. Choose an issue about which you feel strongly, such as recycling, protecting an endangered animal, eating organic foods, or improving school safety. Create a plan for sharing your feelings with your school or community. Discuss the plan with a parent, teacher, or community leader. Use their input to refine your plan. Put your plan into action. 6. Nora’s sister, Ann, has clear goals for life after high school, while Nora seems uncertain. Consider your own future ambitions. Then write a paragraph describing what you hope to accomplish after high school. If possible, share your paragraph with your class or a group of friends. Do many of you share similar ambitions? Are your dreams very diverse? How might you, and your friends, achieve your goals? 7. Go to your library or media center to learn more about intelligence and testing. Then hold a debate on the topic of testing. Divide the group into two teams arguing the pro (for) and con (against) sides of a testing debate. Consider such questions as: Do IQ tests measure intelligence fairly? Should intelligence be measured at all? If desired, expand the debate to consider classroom tests and grades.